The M24LR16E-R device is a dual-interface, electrically erasable programmable memory (EEPROM). 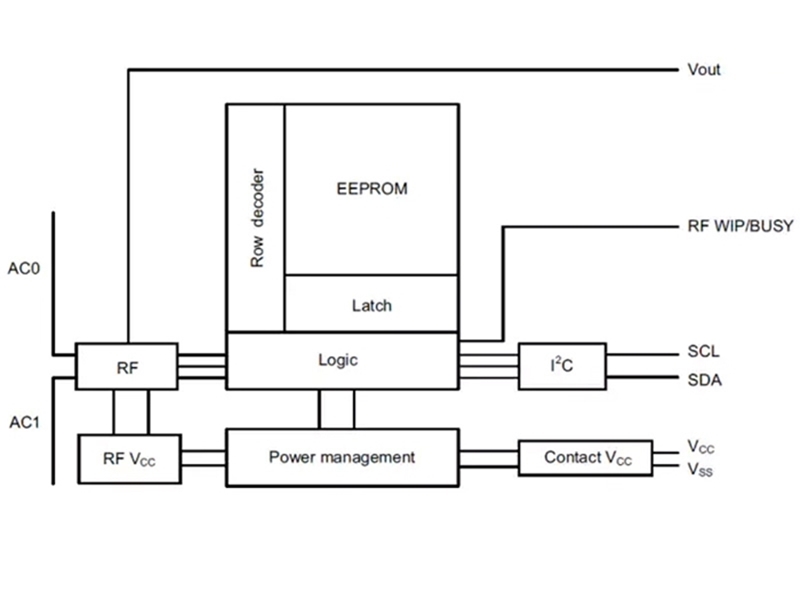 It features an I2C interface and can be operated from a VCCpower supply. It is also a contactless memory powered by the received carrier electromagnetic wave. The M24LR16E-R is organized as 2048 × 8 bits in the I2C mode and as 512 × 32 bits in the ISO 15693 and ISO 18000-3 mode 1 RF mode. The M24LR16E-R also features an energy harvesting analog output, as well as a user-configurable digital output pin toggling during either RF write in progress or RF busy mode.